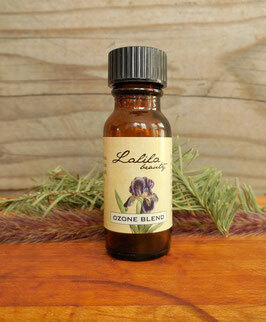 A blend of pure essential oils that promote respiratory health. Excellent to use during the cold and flu season. Helps cleanse the lungs and alleviate congestion. This blend will benefit those living in polluted cities as the gentle solvent properties of the essential oils have a purifying effect upon the lungs. Smokers will benefit as well. Contains: proprietary blend of essential oils including eucalyptus, niaouli, cajeput, and lavender. Vegan. Place 5-10 drops on a 100% pure cotton kerchief. Inhale slowly and deeply, exhale. Repeat as needed. Store in a cool, dry area away from light and heat.